Nancy Brittle, having grown up in the Virginia Piedmont in a small farming community finds inspiration in everyday events and familiar places, many of which evoke memories from the 1950's rural life that continues within and about her household. 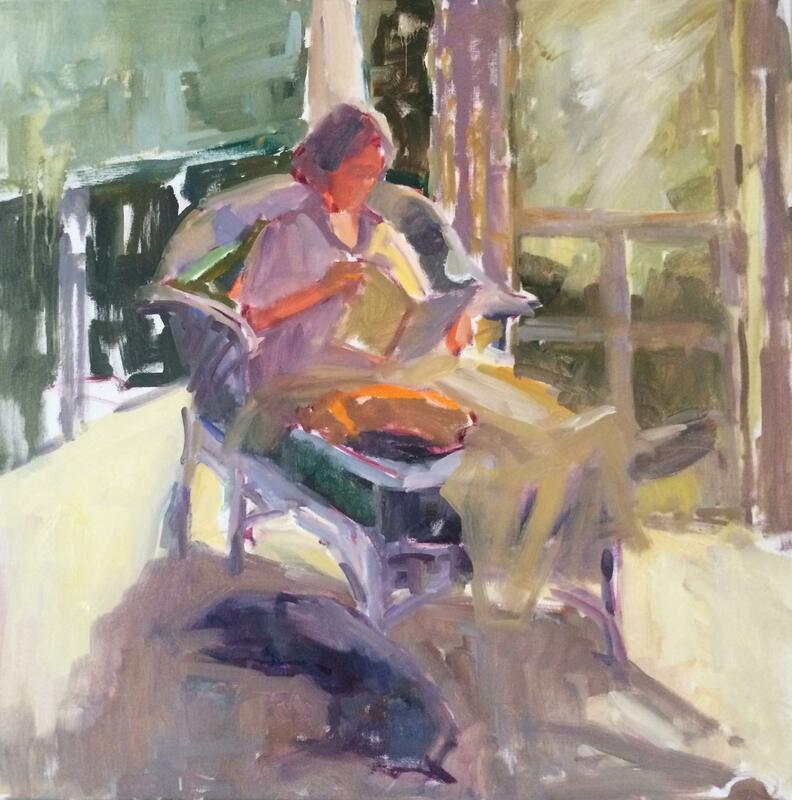 Oil is a favorite medium and she prefers the gesture found in alla prima plein air work to the studio long piece. 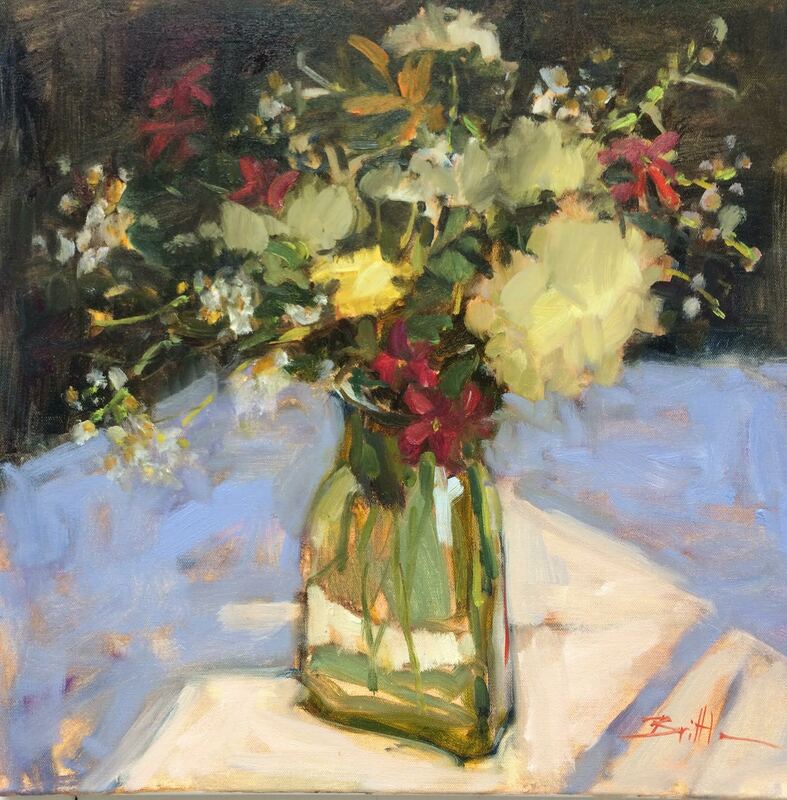 Ms. Brittle graduated in studio and art history from Mary Washington College before continuing her studies at the Pennsylvania Academy of Fine Arts and the Ecole des Beaux Arts. 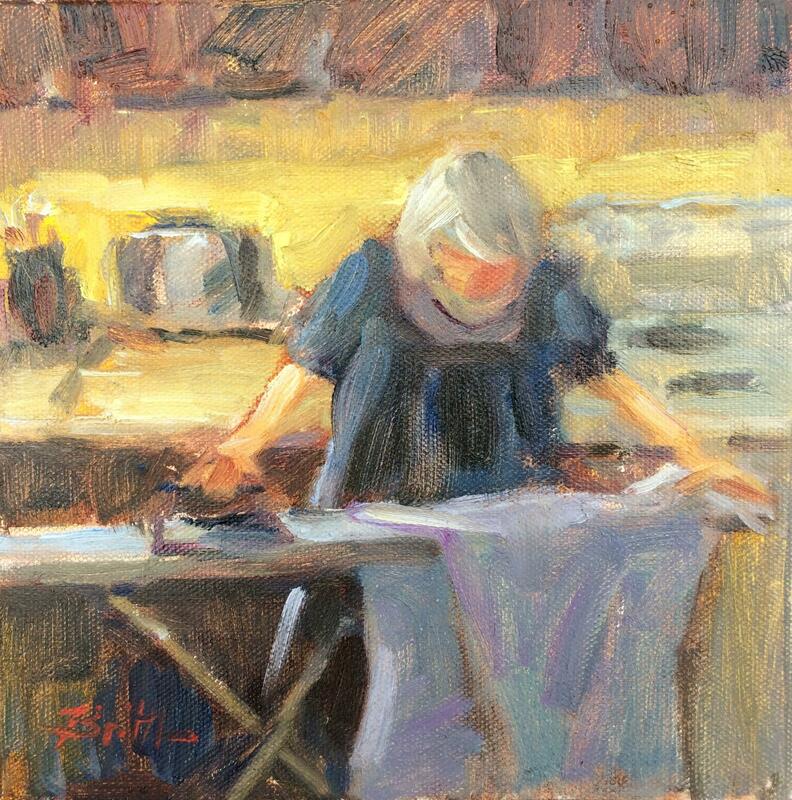 She also worked on an MFA at the American University and has continued painting classes at VCU, and workshops with plein air instructors Lori Putnam, Susan Abbott, and Anne Blair Brown. She attended the 2015 Publishers Invitational retreat in the Adirondacks. In 2017, she was granted a week's participation in Artists in Action at Solomons Island, MD. Currently represented by the Back Door Gallery in Fredericksburg, and the Middle Street Gallery in Sperryville, Ms. Brittle continues to compete on the national level. In the two past years she has been juried into the Women Painters of the Southeast's annual show, the Spacious Skies Exhibition at the Ann Marie Art Center, Solomon's, MD, and The 2nd Floyd Plein Air Event.